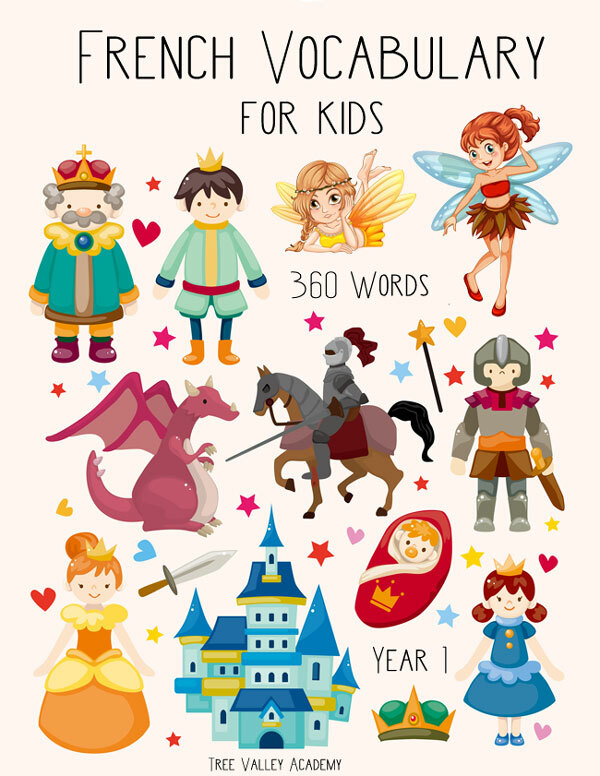 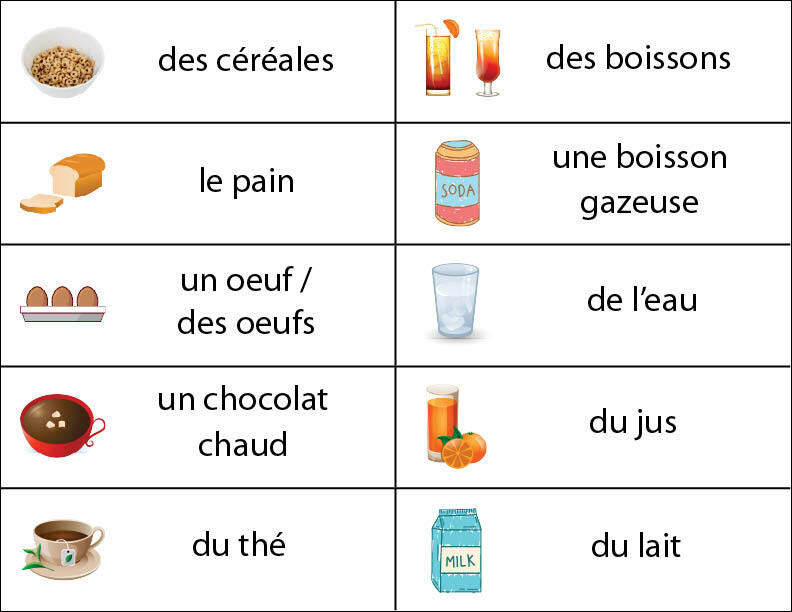 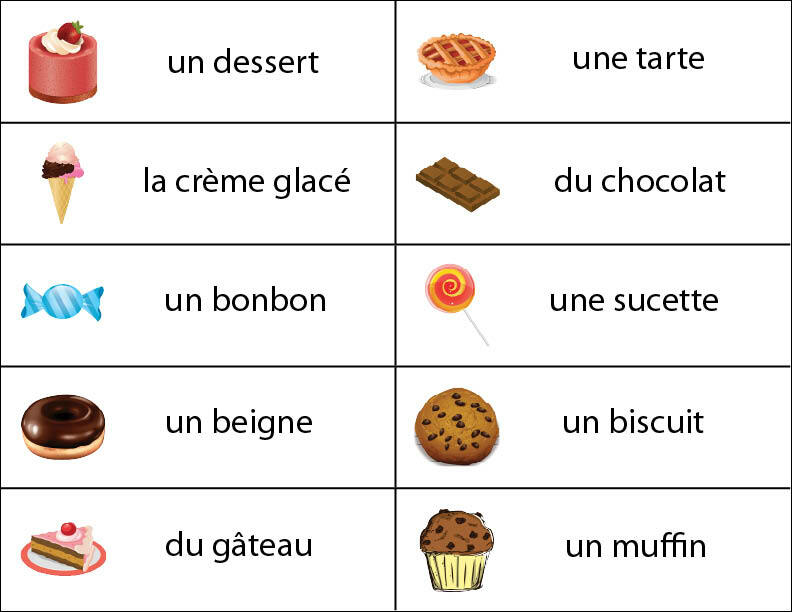 Kids can learn 360 words of french vocabulary. 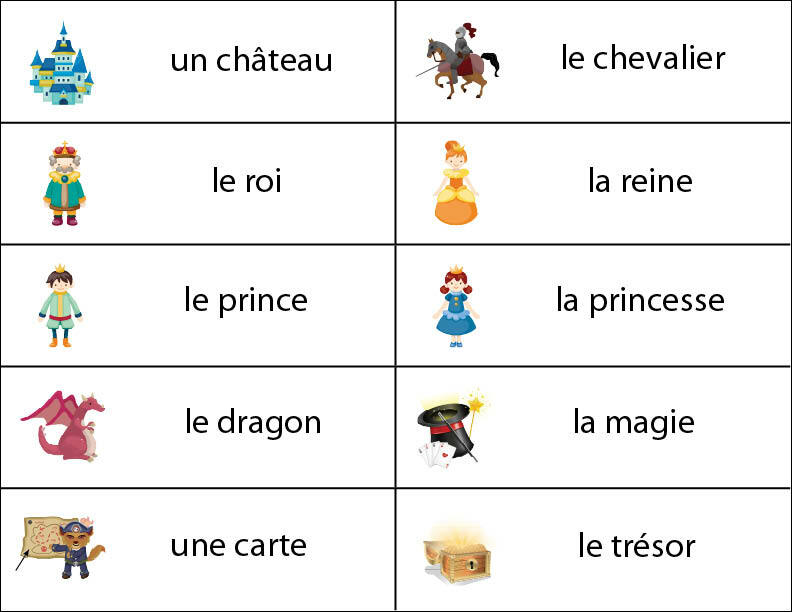 This .pdf contains 36 pages of flashcards - 10 words per page. 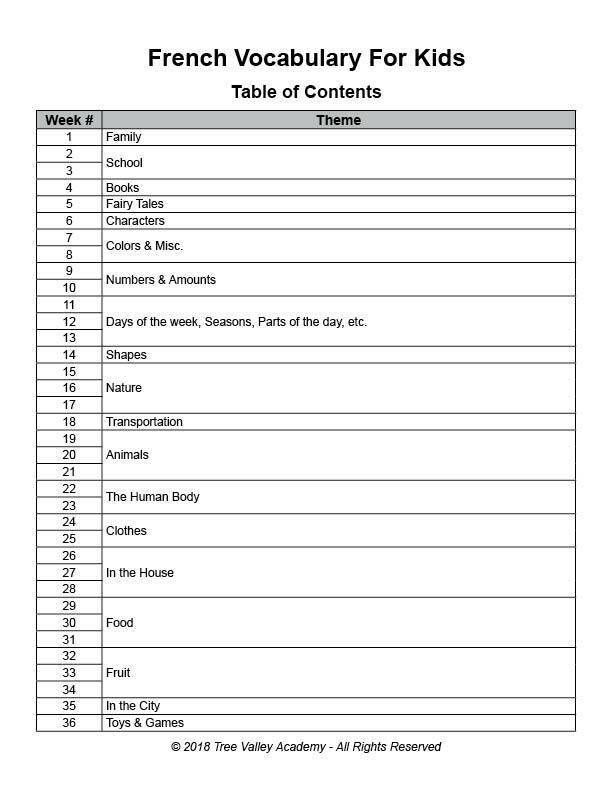 At a rate of 1 page per week, it can be covered in a typical school year.